I apologise my beauty blog has been hijacked in favour of food posts. My Boyfriend has made it his mission to make me fat, scratch that, to find me free from food I am lusting to try. Free From food has been magically appearing in my fridge freezer over the past week. I thought I would share what he has found. 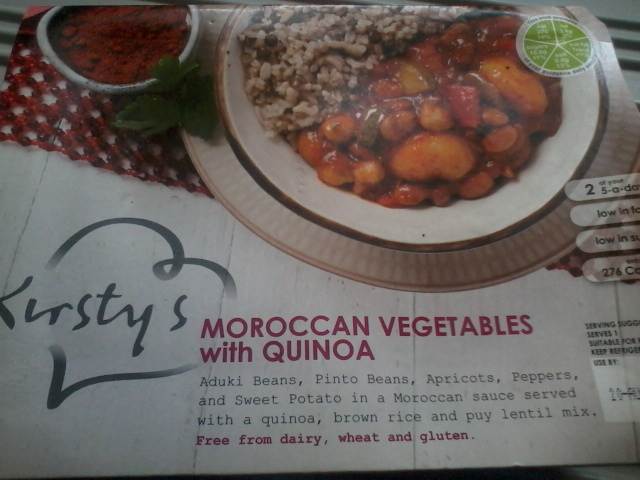 Kirsty's has launched Free From Ready Meals into Sainsbury's. The range is free from dairy, gluten, egg, soya, artificial flavours and colours. You can chose from Sausage with Sweet Potato Mash, Cottage Pie with Sweet Potato Mash, Chicken Tikka Masala with Brown Rice, Spanish Chicken with Brown Rice and Moroccan Vegetables with Quinoa. As a non meat eater with dairy and egg allergies the only one suitable for me is the Moroccan Vegetables. I was impressed by the portion size but I did find the taste slightly bland. I sit on the fence when it comes to buying this again. Amy's Kitchen gets a regular mention on my blog and at long last Tesco will be stocking some products (Sainsbury's beat them to it). I understand the products are from the Light & Lean range. Check individual items for allergens as it does vary. 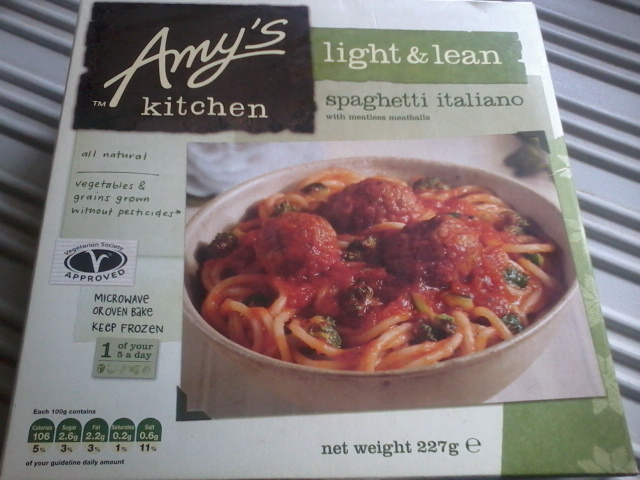 I can have the Spaghetti Italiano which is Vegan (dairy & egg free). This was delicious. I will definitely repurchase although it is proving hard to find in our local area. 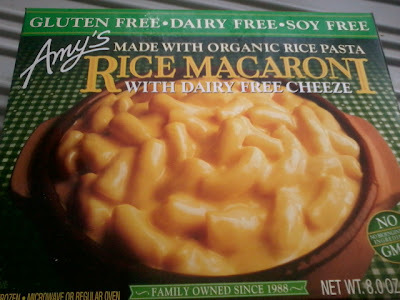 My Boyfriend has also managed to track down (at a local health food store) Amy's Kitchen Gluten & Dairy Free Rice Macaroni & Cheeze. Double brownie points for him. It was not being able to find this that made me create my own Vegan Mac & Cheese. Whilst cooking at home is better for you, I am all for cheating every now and again. I have not got around to trying this one so will have to report back at a later stage. Have you tried any of these ready meals? Did you enjoy eating them? Disclaimer - I felt like sharing, links are not affiliated, this isn't a sponsored post, I like food!